In a move that can only be described as deeply partisan, President Barack Obama has reportedly ordered several cases of Amber and Pale Ale for the White House Super Bowl bash this weekend from Hinterland Brewery in Green Bay, Wisconsin. Was this cheese-headed pandering a snub aimed at Steeler Nation, or just an innocent oversight? A little research indicates Mr. Obama has been busy lately- something about the internet being down in Egypt or something, which, if true, is a total bummer. 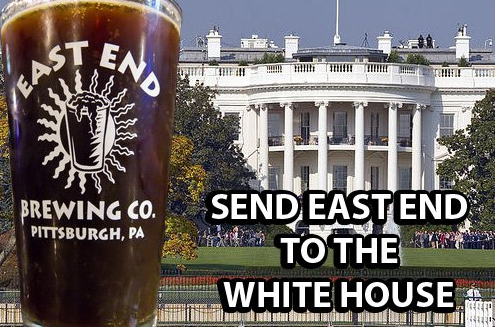 Now a president elected due to an ability to galvanize support online is the target of a viral social media campaign dubbed “East End to DC” which includes a Facebook fan page sporting over 1,000 members, and thousands of #EastEndtoDC tweets flooding Twitter, as Steeler and craft beer fans nationwide call for bipartisan support of the measure. The attention has garnered some attention for the small brewer, including a Reuters UK interview. Mr. Smith has even volunteered to drive the beer to the capital himself if necessary, though time is growing short. So what can concerned Aleheads do to help? Send the White House a message directly. I’m sure they don’t have anything better to do. Pick up a bomber, growler, or keg from East End Brewing or your local craft brewer of choice. Posted in Ale Factories, Beer Culture, Beer Marketing, Brews in the News, WTF.Tagged Barack Obama, East End Brewing Company, Pittsburgh, Social Media, Steeler Nation, Super Bowl. I just wish they’d send East End to Ohio. 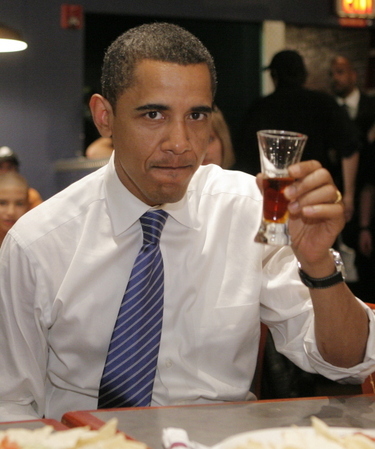 I couldn’t care less what beer the president drinks 2 oz. of before not watching the Super Bowl. It’s always about you Commander, isn’t it? You sound surprised. Seriously, though, I’m just saying, you’ve got an unserved state of 11 million people an hour and a half away, and you’re packing up growlers to send them to a guy who chose Bud Light as his drink of choice at a nationally publicized beer summit. If that’s the superior marketing play we should all be ashamed.